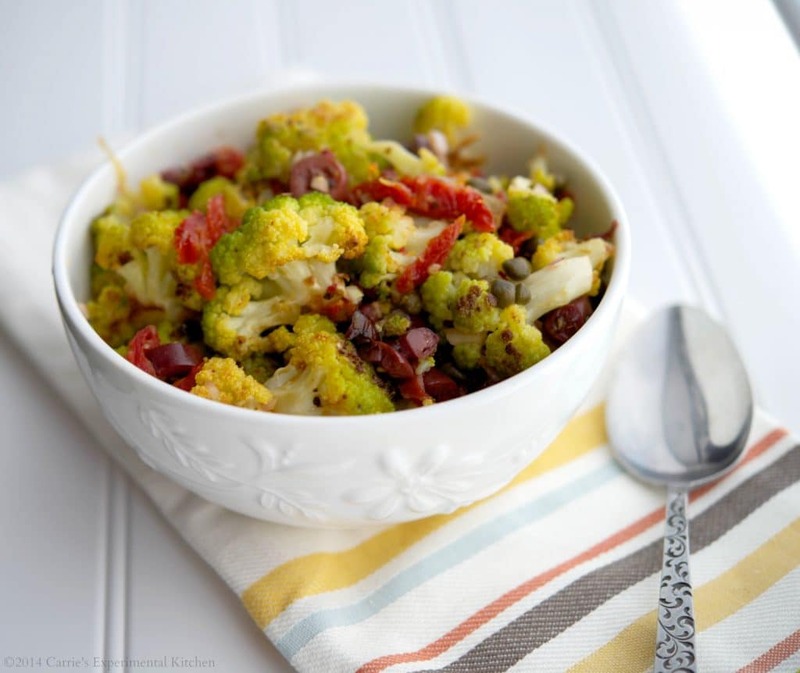 This Mediterranean Broccoflower Salad made with sun dried tomatoes, capers, Kalamata olives, fresh oregano, and lemon juice is not only gorgeous in color, but also flavorful. Happy St. Patricks Day! Since I already shared my favorite Irish dishes last week, I’m sharing a new recipe for Mediterranean Broccoflower Salad. Broccoflower, otherwise known as “green cauliflower” is a hybrid of broccoli and cauliflower. It has the same flavor attributes; however it has a vibrant lime green color. 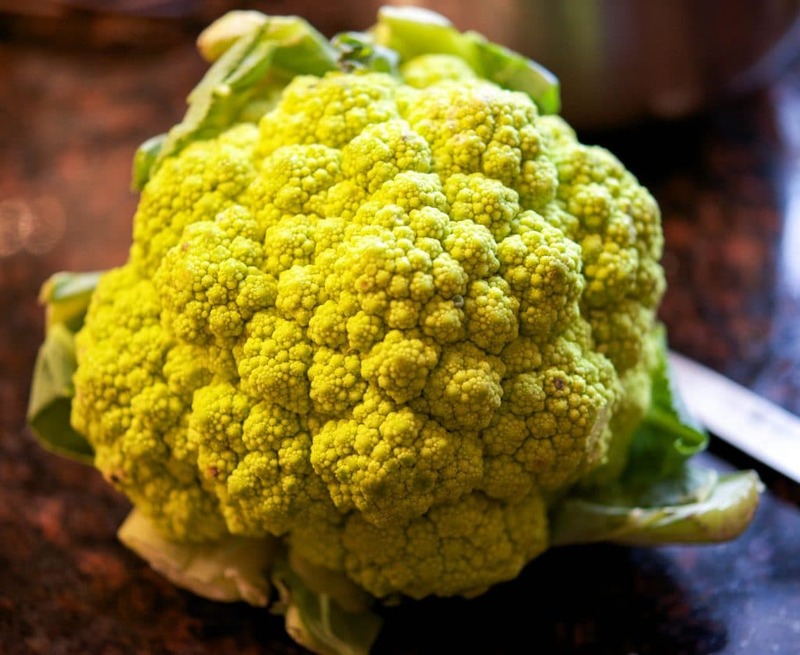 You can prepare broccoflower the same way you would broccoli or cauliflower. I chose to roast it with a little olive oil; then toss it with some of my favorite Mediterranean flavors: sun dried tomatoes, capers, Kalamata olives, fresh oregano, lemon juice; then added a touch of honey for sweetness. 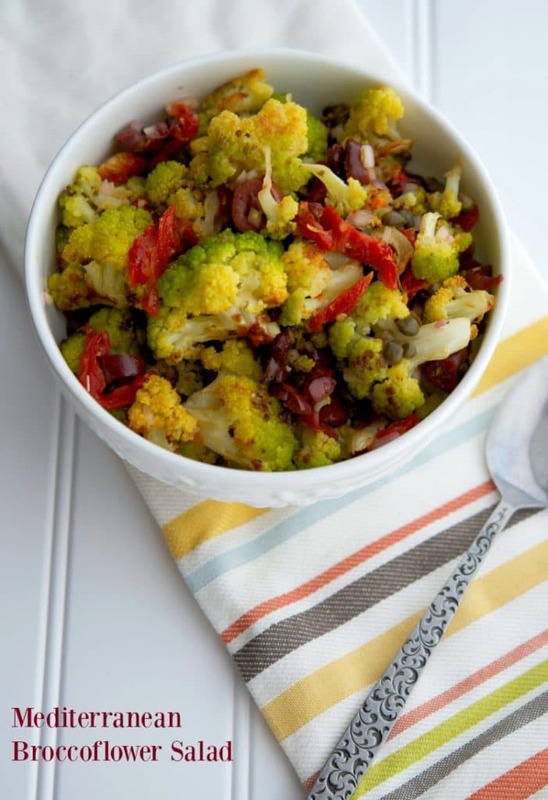 This Mediterranean Broccoflower Salad is not only gorgeous in color, but also flavorful. I ate some for lunch; then had it again with some grilled chicken for dinner. ~Enjoy! Remove the core of the broccoflower and cut down into florets; then rinse under cool water. Place the broccoflower on a baking sheet and drizzle with oil; then bake for 15 to 20 minutes. Cool. 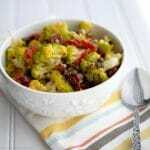 In a large bowl combine the broccoflower, capers, olives, oregano, lemon juice and honey. Mix well and keep refrigerated. *Nutritional information provided by Calorie Count and may not be 100% accurate.